This stunning looking castle built in the 13th century is built on the high rocky spur between two rivers will definitely ignite the imagination of the young children. 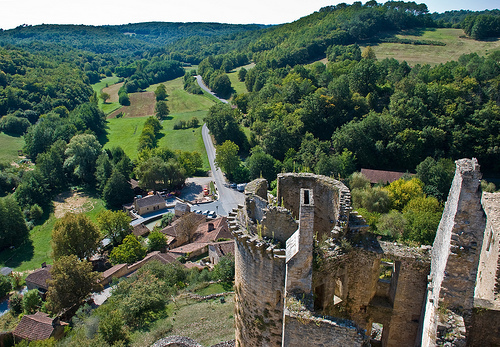 This castle is among the last of the grand fortified castles constructed in France. Chateau de Bonguil can be best enjoyed in the month of July, when fireworks displays during the night time, lights the night sky, the castle and its backdrop. Pech Merle is a pre history centre, located about 35 minutes drive from Cahors, which offers an absorbing insight into the prehistoric cavemen and cave women and the world famous wall paintings they produced. This centre also provides educational workshops for both the children and the adults. It is highly recommended to take a ride by a river boat to enjoy the scenic beauty of this region. Cruises are offered from Les Croisieres Fenelon up to the Saint Cirq Lapopie and also past the vineyards of Cahors, and the cruises are available the full day which include food and drinks which are all offered on board. Children normally love animals, and they will enjoy seeing and meeting free living monkeys, who roam free, and the children can really get close to the monkeys. This place is not a typical zoo, but the monkeys have the entire freedom to move around, sometimes without being seen by the public. This is swimming and spa complex for mainly adults for their relaxation, and activity for children at the waterside. This complex also has facilities like steam rooms, sauna, Jacuzzi and a Japanese bath. There is also a heated indoor pool. This is a place to have a lot of fun; this happy forest has woodland surrounding, and also has aerial rides taking you above the treetops. People on holidays looking for some adventure can visit this region south of France and get to really relax, enjoy the history of the places there, including sightseeing, sports, and the rare scenic beauty which take their breath away.